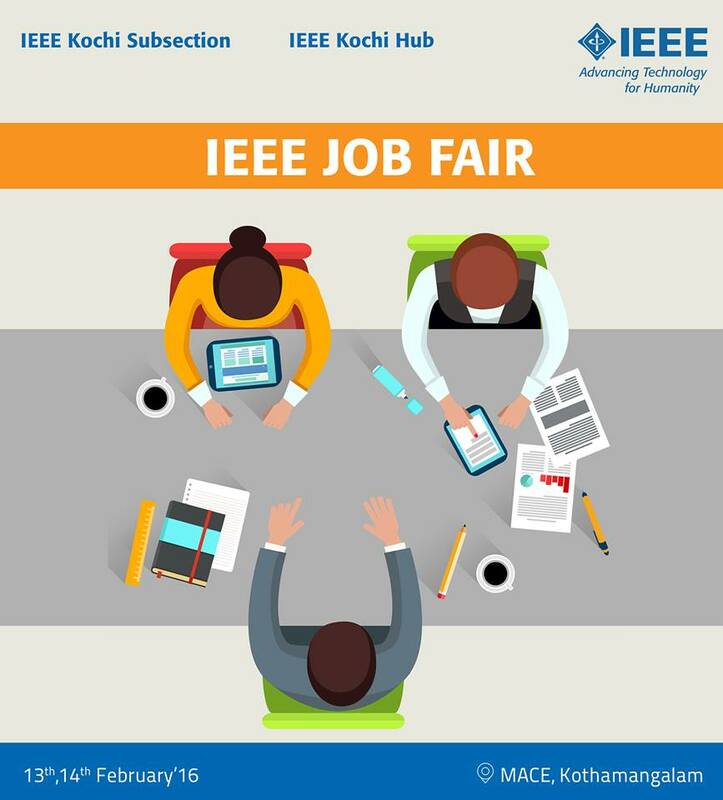 IEEE Job Fair 2016– a joint initiative of IEEE Kochi Hub and IEEE Kochi Sub-Section is a recruitment drive on 13th and 14th February at MACE College, Kothamangalam. IEEE Job Fair acts as an interface for the demands of the techno-industrial world. It provides a forum for the graduates and companies to interact, introspect and scrutinize. A stage where hundreds of job seekers from 70+ technical institutions gather, together with the numerous companies with diverse disciplines, the IEEE Job Fair provides the recruiters an opportunity to pick the best lot from the hand molded products of IEEE.